Most engineering programs do not have much room in their curricula for students to take elective courses in order for them to graduate with minors in disciplines outside their majors. The Engineering Science Program at St. Mary’s is designed to address this issue. It offers students a curriculum that combines the foundation engineering principles, common to all engineering majors, with the flexibility to customize their program to obtain the depth of knowledge in the area of their choosing through 24 credit hours of technical electives. The Engineering Science program at St. Mary’s University prepares students to acquire depth and breadth in engineering and science. Graduates are able to function across disciplines and they are well prepared for advanced studies as well as professional employment. Every engineering senior also completes a year-long design project, some of which have even been patented. Many students also participate in the student chapter of the Institute of Industrial Engineers (IIE), a professional society for industrial engineers. The Engineering Science curriculum is designed for students who want to apply design principles rooted in the engineering disciplines to various fields of science including mathematics, biology, chemistry, computer science and others. This program prepares students to pursue careers in multidisciplinary fields such as biomedical engineering, environmental engineering, material sciences, pre-medicine and other areas of science. In addition, the Engineering Science Program allows students, who want to start their careers as middle and high school teachers with specialty in STEM and IT, to use their 24 credit hours of electives to fulfill the requirements for their teacher certification. 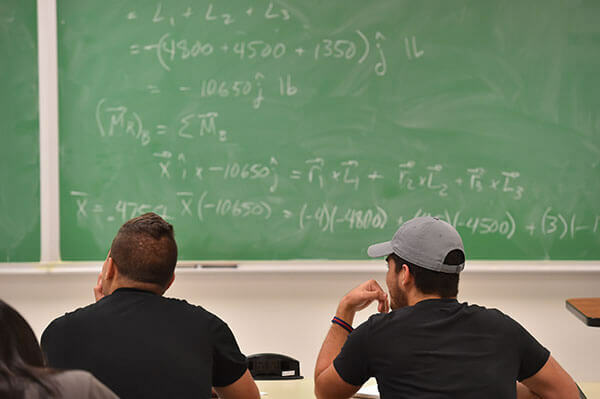 The concentration options for this degree in Environmental Science, Pre-Med, Mathematics and Chemistry allow students to find the area they are most interested in integrating with engineering.